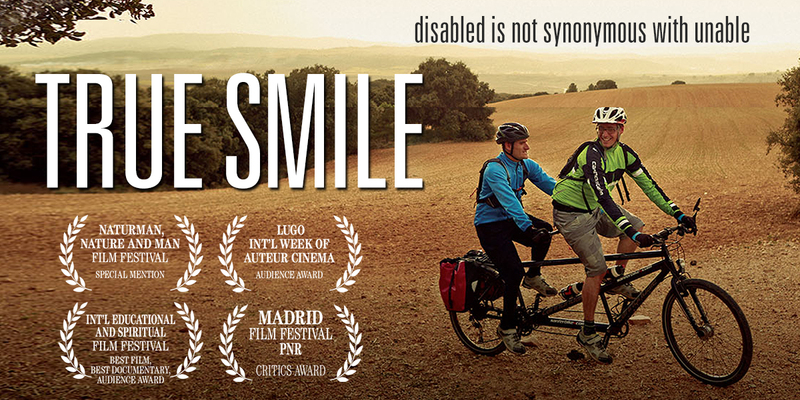 A heart-warming story of self-improvement, True Smile follows the extraordinary 1,300 kilometers journey Sergio, a blind autistic young man, undertakes with his brother. 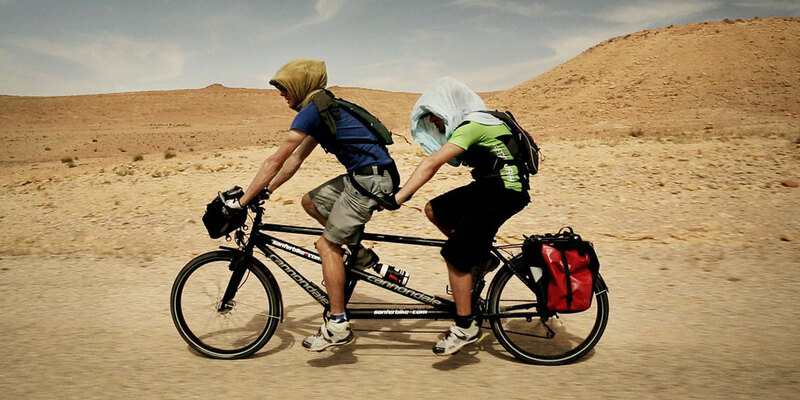 Over 30 days, Sergio and Juan Manuel traverse desert and high mountains by tandem bike, starting in Cuenca in central Spain and finishing in one of the most remote villages in Morocco’s Atlas Mountains. The candid documentary provides a magnificent glimpse into Sergio’s impenetrable world; so similar to the desert he travels to on his trip. What underlines this story is Sergio’s amazing ability to challenge his limitations and the infinite love of his brother and companion. Sergio’s motivation and strength to undertake this amazing adventure comes from his wish to see his friend Mati again at her home in Morocco. A key character in his life, Mati was the first person outside of his family who understood Sergio, helping him to perceive the world through her eyes. She thus became one of the privileged people allowed into Sergio’s inner circle and autism-defined inner world. Mati is more than a friend or a mentor for Sergio: their relationship has taught him to understand life. Juan Rayos is a filmmaker living in Madrid. He received a degree in Photography, Video and Television from the University of Alicante. After several years working in the visual arts scene, Rayos is now dedicated to film. 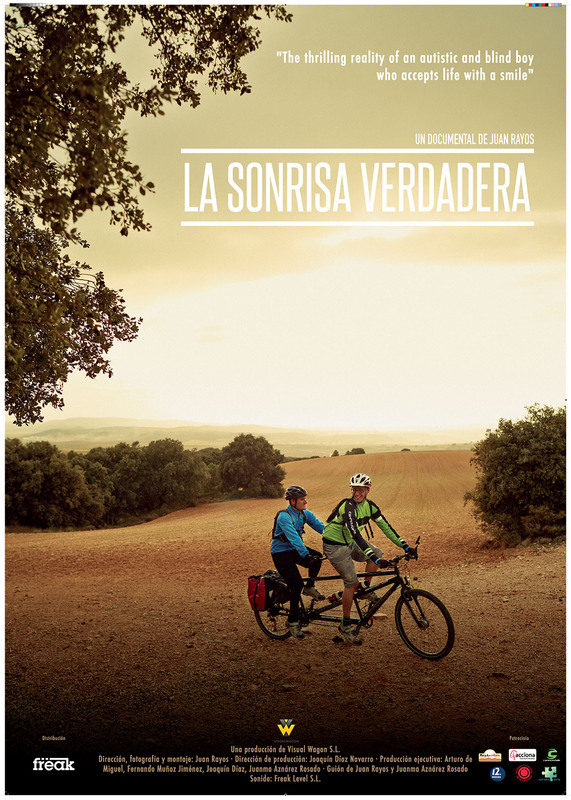 He has directed several documentaries in the last few years: Endless Roads (2011) about the group of skaters Longboard Girls Crew; Caballos salvajes (Wild Horses, 2012), about an old tradition in the north of Spain; Los primeros días (The First Days, 2013) about the theatre company La Tristura; and La sonrisa verdadera (True Smile, 2014), about a blind autistic young boy’s inspiring trip across Morocco. Rayos received a scholarship from the Spanish Academy in Rome and was selected for the Injuve Photography competition in 2001 and the Injuve Art Show in 2004. His documentaries have been shown worldwide at the Cinema d’Autor Film Festival in Barcelona; Document Art Film festival in Bucharest; Banff Mountain Film Festival in Canada; Maremostra Film Festival in Mallorca; the Cineteca of Madrid; and the Film Archive of Spain. “My parents are journalists, and we are all in the communications industry. We all wanted to show what a gift it was having Sergio in our lives. We’ve learned so much from him. I think we have been really enriched by knowing him, not the other way around. And it was very important [for us] to share that. This project has Sergio as the central focus of the story. Just talking about him wasn’t enough. We wanted to show him doing something and taking part in something that he enjoys.